දැන් ඩවුන්ලෝඩ් කරපු "idman625build10.exe" File එක ඩබල් ක්ලික් කරලා open කරලා ඉන්ස්ටෝල් කරගන්න. 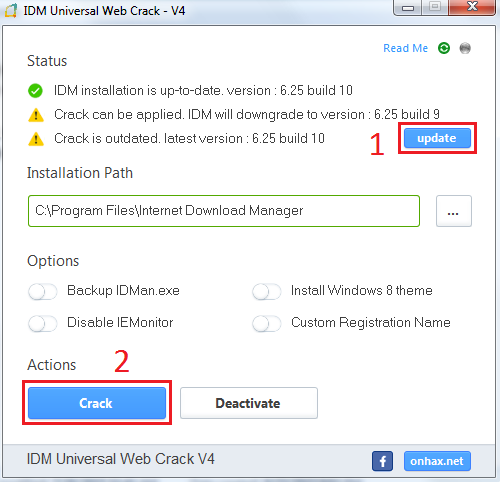 Download වූ "Crack(www.aluthsoft.com).rar" 1 Extract කර එහි ඇති "IDM Universal Web Crack V4" එක Open කරන්න. දැන් ඉහත රුපයේ ආකාරයට මුලින්ම Update button එක click කරන්න. 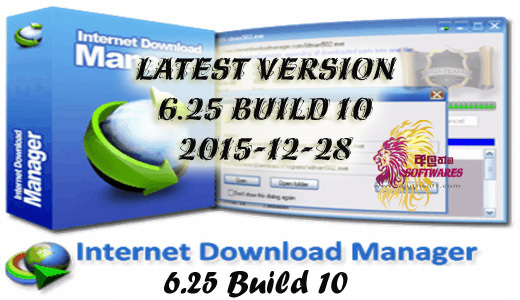 එතකොට පොඩි Window එකක් ඇවිත් 2MB ව්තර Download වෙයි. ඊට පස්සේ කෙලින්ම ඔය කහ පාට ප්‍රශ්නාර්ථ වගේ ඒවා දෙක නැතිවෙයි. දැන් Crack Button එක click කරන්න. 06. 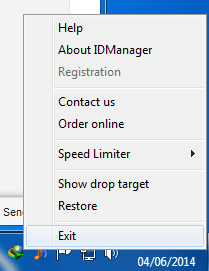 දැන් Message එකක් එයි IDM has been cracked successfully. 07. බැරිවෙලාවත් Activate කරාට පස්සේ අයෙත් fake serial message එක අවොත් ආය පාරක් Patch එක open කරල IDM open වෙනකන් crack කරන්න.